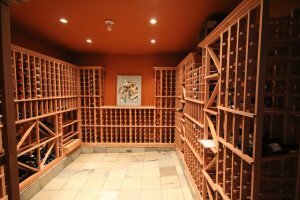 This is the first time I was able to see the wine cellar completed. It looks great! It is exactly what I was hoping for. The racking worked out very well and the installation was just right. I plan on adding a few finishing touches, such as a table and appropriate light fixture, but that will all come in time as will the bottles to fill the cellar. Thank you.